The U.S. Senate is scheduled to vote on a pair of bills Thursday that could reopen the federal government following a partial shutdown that’s now 33 days in the making. The first, supported by Senate Republicans and Sen. Majority Leader Mitch McConnell (R-Ky.) mirrors President Trump’s proposal offered over the weekend: $5.7 billion for a border wall between the U.S. and Mexico, along with a three-year extension of provisional protections for 700,000 “Dreamers,” adults who were children when they were illegally brought to the United States. Senate Minority Leader Chuck Schumer (D-N.Y.) and fellow Democrats are expected to support a continuing resolution that would fund the government through Feb. 8 while lawmakers scramble to find a permanent solution while debating funding for Trump’s proposed wall. Either proposal would need 60 votes to pass, and it’s unlikely either plan will. 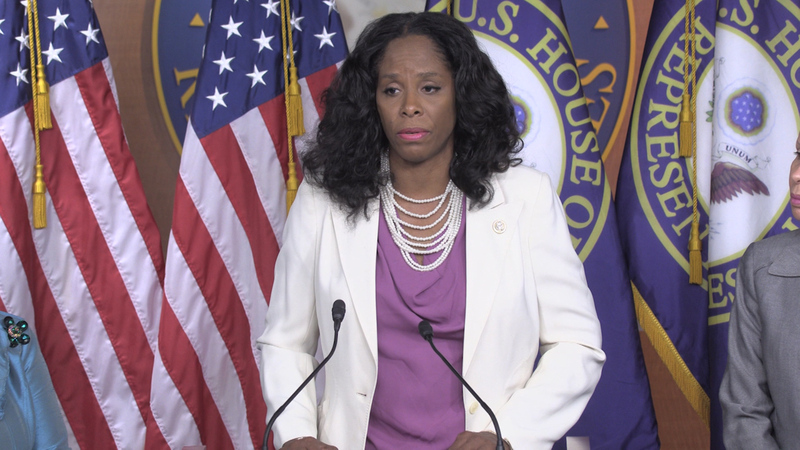 The GOP’s version reportedly includes upwards of $13 billion in additional disaster relief funding, but that money would not benefit the U.S. Virgin Islands or Puerto Rico, Congresswoman Stacey Plaskett said. However, the U.S. House passed a funding package of their own last week that would benefit both territories and states affected by natural disasters, including California as a result of the wildfires in late 2018. “We’re hoping that if it’s passed on the Senate side that there will be some discussions before the final bill is married and the final passage is done,” Plaskett said. Earlier this month, President Trump reportedly considered using previously appropriated disaster relief funding to fund his border wall. However, that notion has appeared to die down in recent weeks. Thursday’s vote comes one day before approximately 800,000 federal workers and contractors are scheduled to miss a second consecutive paycheck due to the shutdown, which is now into its fifth week. The committee is tasked with investigating allegations of fraud and abuse within the federal government. Now with a Democratic majority, the committee is likely to request and/or subpoena President Trump’s personal tax records and business dealings, documents long-sought by Democrats. It’s likely committee Democrats will begin by targeting the President’s closest allies in the White House. Plaskett notes that Democrats returning to the committee have already begun looking into whether or not Trump has been receiving financial gain from a “government structure” through the Trump Hotel in Washington, D.C. Such a gain would be a violation of the Emoluments Clause, she added. Plaskett brings legal experience to the committee, previously serving as a prosecutor in New York state and as counsel in the Dept. of Justice. She will also serve on the House Agriculture Committee and the House Committee on Transportation and Infrastructure. A third committee appointment is only granted following the approval of Democratic Caucus leadership.